The Trump-Pence administration is at it again trying to strip women’s basic rights away from them. But this time, they are going further than they ever have before. They released a gag rule that would make it illegal for health care providers to refer for, or even mention, abortion. It also prevents women from getting the care they need at Planned Parenthood. Make no mistake, the proposed gag rule is just the latest attempt from the Trump-Pence administration to take away women’s basic rights — period. The gag rule would do three things. First, it makes it impossible for millions of patients to get birth control or preventive care from Planned Parenthood and other providers. Second, doctors, nurses, hospitals, and community health centers across the country would no longer be able to refer their patients for safe and legal abortion. Third, it removes the guarantee that patients get full and accurate information about their health care from their doctor. For nearly two decades, Title X law has been clear: Health care providers cannot withhold information from you about your pregnancy options. This gag rule means they can. This gag rule would devastate women’s health in California. Under this rule, the Trump-Pence administration intends to block people from going to Planned Parenthood health centers for birth control or preventive care. California’s Planned Parenthood health centers care for more than 70 percent of Title X patients statewide. Locally, Planned Parenthood of the Pacific Southwest serves 130,000 patients every year and the gag rule would prevent them from receiving the health care they need. They wouldn’t be able to access birth control, cancer screenings, STD testing and treatment, or even general women’s health exams. Also under this rule: if a woman is pregnant and wants or needs an abortion, her provider will be prohibited from telling her where she can go to get one. Even if a woman’s pregnancy would severely affect her health — for example, she discovers she’s pregnant after being diagnosed with cancer — her health care provider could refuse to tell her that abortion is even an option. A gag rule is a radical departure from the way health care has operated in the United States until now. A domestic gag rule has never been implemented in the United States before. The Reagan administration tried to implement something similar in 1988, but was held up in the courts. It was later retracted by the Clinton administration in 1993 after an intense outcry from the medical community. We reject this gag rule, alongside the medical community, lawmakers, and public health experts. Major medical associations like the American College of Obstetricians and Gynecologists, the American College of Physicians, and others oppose this rule. More than 200 members of Congress and over 110 public health organizations have also come out in opposition to a gag policy. 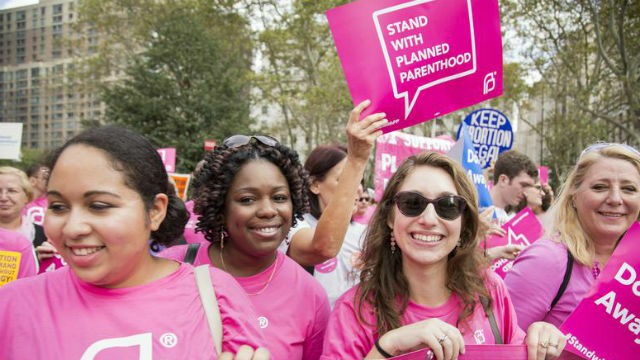 Preventing Planned Parenthood from serving patients would mean women go without care, period. In fact, many of the lists of “replacement” providers don’t even provide reproductive health care. In Louisiana, the state list of alternative providers included dentists and nursing homes. In Florida, it included school nurses. In Ohio, it included food banks. We’re at a 30-year low for unintended pregnancy, and a historic low for pregnancy among teenagers. Now is not the time to walk back progress. Planned Parenthood is going to fight for our patients’ health and rights — and for the millions of people in this country who need access to quality reproductive health care. The cost is too high, the impact too great. Our bodies are our own — and should not be at the mercy of the Trump-Pence administration. That is why we need everyone in our community who understands how critical reproductive health care services are, to make your voices heard. Tell the Trump-Pence administration during the comment period, which will be going on until July 31, to stop this dangerous legislation. 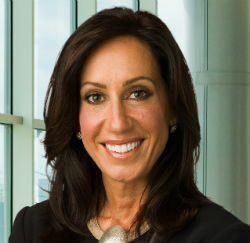 Darrah DiGiorgio Johnson is president and CEO of Planned Parenthood of the Pacific Southwest.